Are you a PANDORA fan in Laatzen, Germany? There is a fantastic PANDORA event this weekend. Pandora Aktion im Pandora Store in Laatzen: 18 und 19. November 2016. Ein Schmuckstück im Wert von von bis zu €59. 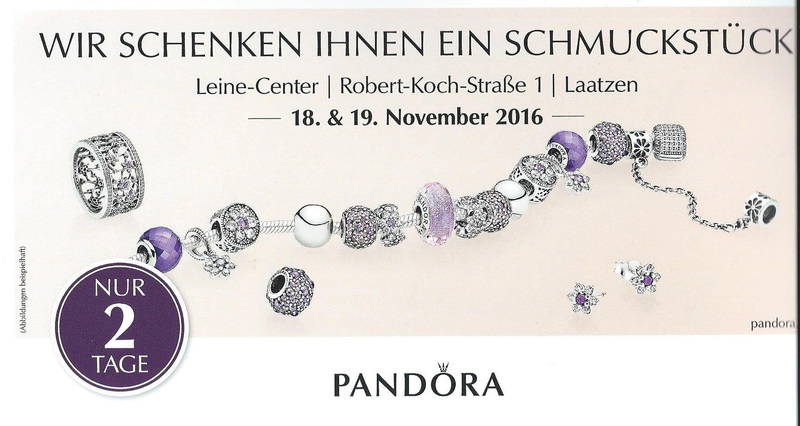 Pandora Action at the Pandora Store in Laatzen: 18th and 19th November 2016. No extra invitation required. Win a piece of jewelery with a value of up to €59! Let us know if you are able to attend this PANDORA Tower Event and what you win from the giant jewellery tower. You are welcome, Dora ?